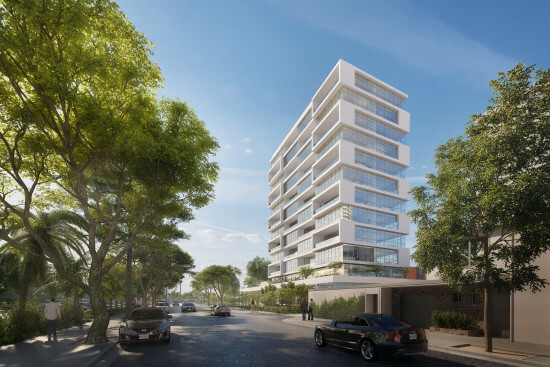 "A Bit of the Upper West Side in the Valley" - Archpaper.com "A Bit of the Upper West Side in the Valley"
Roger Ferris + Partners’s Screenland Lofts signal high-rise living over the hills of Los Angeles. 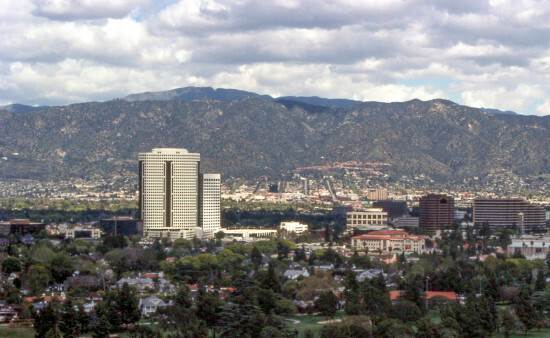 For those who know Burbank, it’s a city synonymous with film and television industries, namely NBC, Disney, Warner Brothers, and Nichelodeon. Well, movie studios and soon the country’s largest IKEA store. One thing Burbank is not known for, at least not yet, is high-density urban housing. That could change when Westport, Connecticut-based Roger Ferris + Partners’s proposed 14 story Screenland Lofts break ground later this year. Currently in the permitting stages of development, the 170 foot high articulated monolith will feature ground floor retail topped by a shared terrace, 40 new two-bedroom apartment units, with a rooftop pool at the highest level. These market rate units will vary between 1,262 and 1,430 square feet in size. The building’s articulated facades frame large loggias that connect to interior spaces (either the living room or bedrooms, depending on unit type) and frame views of the nearby Hollywood Hills and Verdugo Mountains. A thick, Schindlerian band of write stucco zig-zags across the North facades. Floor-to-ceiling efficiency glazing wraps around the East and West exposures. Located in the commercially-zoned Burbank Media District, Screenland Lofts is atypical of apartment projects going up in LA area: it’s organized as a singular volume. 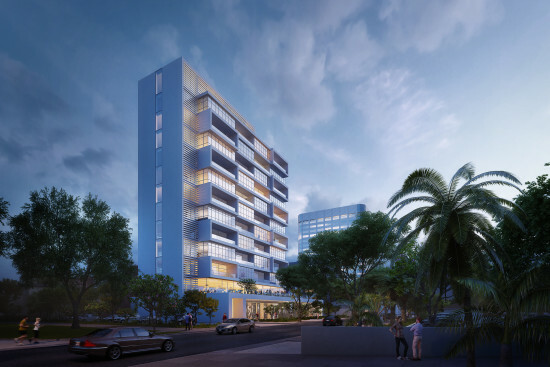 “We wanted to relocate and redefine high-rise housing for L.A.,” firm founder Roger Ferris told AN recently over telephone. He cited the “urbanesque” nature of a tower design as one of the selling points of the scheme. Ferris remarked further that the development would be the only one of its kind an area defined mostly by mid-rise office towers. And indeed, with gentrification making its way from the northernmost reaches of Downtown LA across nearby Highland Park, Atwater Village, and Glendale, Burbank officials are smart to begin densifying their city’s housing stock now.